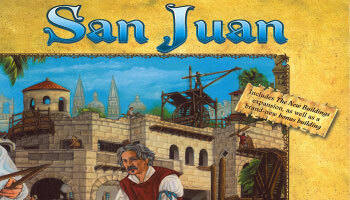 San Juan is a city building card game based from the board game Puerto Rico. The game is played over several rounds. In each round, each player chooses one of different roles (Producer, Prospector, Trader, Councilor or Builder) and all players take the corresponding action in clockwise order. With the money earned from such sales, players can build buildings like palaces, poor houses, silver smelters, gold mines, and many others – each with its own special features. Victory points are gained exclusively by building. The player who earns the most victory points becomes the winner of the game. 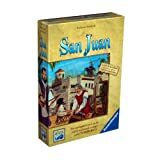 The player who makes the best role choices and makes the best use of his privileges and the role choices of his opponents will have the biggest chance to win the game.